The blogging has slowed down but the painting has been happening. I have less than one month left, well less really because we have Xmas and our group exhibition, the mostra, which starts on Dec 12th. Then I need to ship my work back to the UK and on the 29th I fly back. I am already aware that this experience has been a pivotal one. It is hard to even begin to catalogue all the places I have visited and that have etched a lasting memory, that will form a sort of personal reference library. So many images, and also of the conversations in and around the images. Gill Ord’s experience in Rome began by working on site, in underground spaces. These places were chosen for their particular qualities and depth of history. 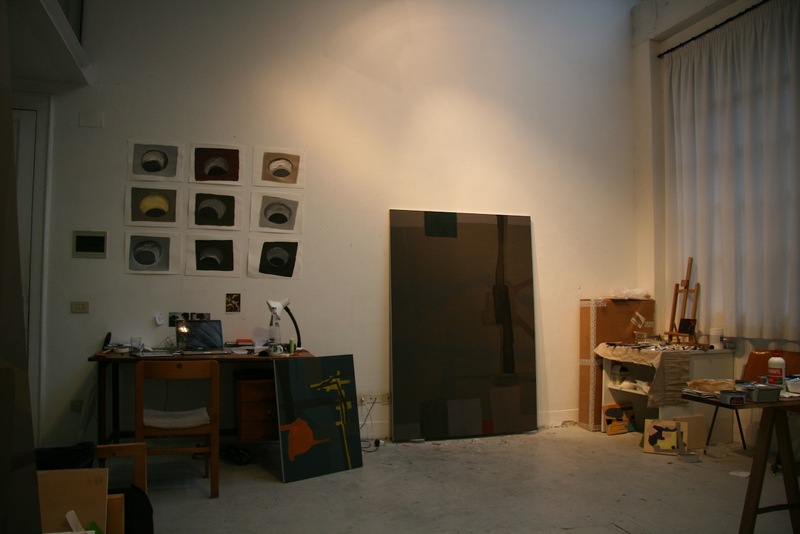 In the studio the paintings she has made are instinctive, but also intentionally about the experience of being in these ancient and layered locations. The above is the plain truth, but actually it is not just the places I worked in that are in my head as I work, it is also the Borromini churches and The Pantheon and the Caravaggio’s. The Domus Aurea, the Bernini’s and the Galleria Borghese. EUR, The Forums, columns, temples and just walking the streets. I could of course go and on. The thing is that here rather than looking and photographing and then at some point being in the studio, the transition is a walk away, along Via Ripetta, through Piazza del Popolo (via the church of S. Maria) across the Borghese gardens. The biggest difference between a holiday and a fellowship is the chance to return again and again to the same places and always see more.